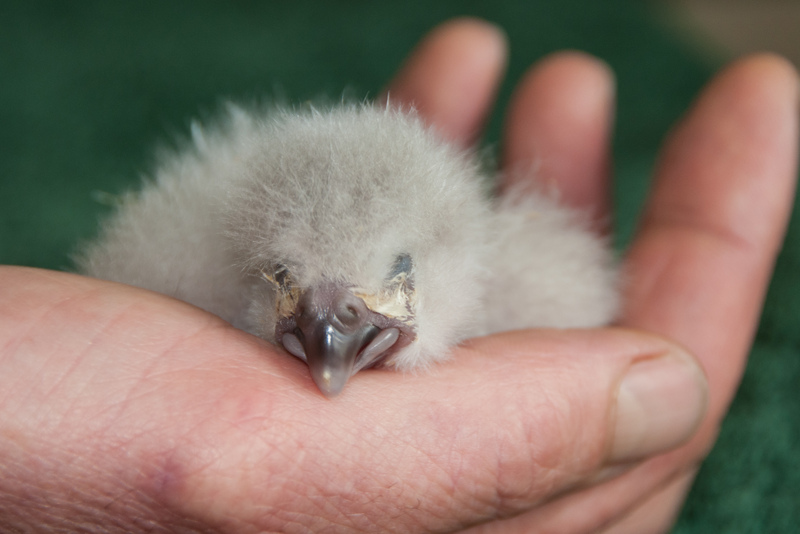 The goal of this project is to sequence the genome's of all 125 known living kākāpō. Please help us to save one of the world's most unique and endangered species by allowing us to obtain the detailed genetic information necessary to minimize the loss of genetic diversity, and optimise health and productivity in the existing population. Jason Howard (at Erich Jarvis's lab) and his team at Duke have successfully sequenced the first kākāpō genome. This sequencing was made possible thanks to Jonas Korlach and his team at PacBio where they made use of PacBio SMRT technology. Having a comprehensive genome to use as a reference allows us to more quickly and easily sequence the genome's of additional individuals. The Kākāpō Recovery Team relies on genetic information to manage kākāpō matings in order to ensure maximum genetic diversity. Having the whole genome of all remaining individuals would allow the team to better understand the relatedness of individuals to optimize breeding. These will also help understand differences in susceptibility to disease and fertility among individuals, and identify which kākāpō carry rare genes. This information will help prevent the extinction of the species. Genome sequencing technology has advanced rapidly in the last 5-10 years. It's now routine and relatively cheap to perform whole genome sequencing. Using relevant sequencing technologies such as Illumina and PacBio we will sequence the genomes of all remaining 125 individual kākāpō. The Kakapo Recovery Team operates on a very limited budget. All of their funding and time is currently focused on what we hope will be an unusually successful breeding season in 2016 thanks to a bumper crop of rimu fruit. Without the funding from this Experiment project sequencing the genomes of all known living kākāpō will not be possible. Without this genetic information the effectiveness of the kakapo breeding program is reduced. For the entire project we aim to raise around $65,000 USD. To-date we have raised $25,000 USD and have already started sequencing the first 40 genomes. If this crowdfunding campaign is successful we will have enough to sequence the second batch of 40 genomes. For the final 45 genomes we'll rely on additional funding raised via The Genetic Rescue Foundation's shop. I have provided veterinary support for the kakapo programme for over 10 years and am aware of the multiple threats still facing this species including low fertility and disease. This is an exciting, ground-breaking project that will give us further tools with which to help this globally unique species. The project has my full support. 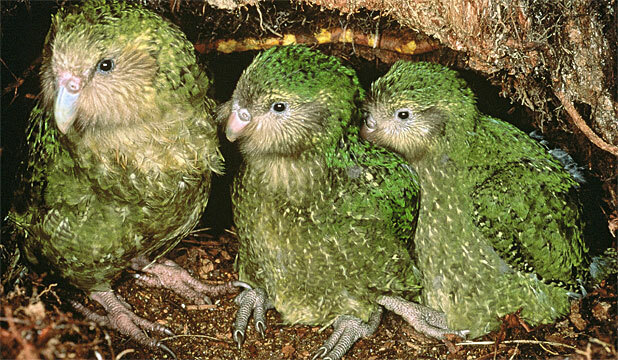 The Kakapo 125 project will result in one of the most detailed genetic profiles of any bird species. This rich dataset will drive a number of interesting research directions, including analyzing the complete diversity of all living animals of one species, rescuing the species from near extinction, discovering susceptibility to near extinction, and studying the origins and mechanisms of vocal learning. 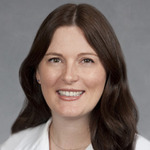 Duke researchers will be utilizing this data to better understand the molecular pathways involved in the perception and production of learned vocalizations. The genetic rescue project is a an admirable project and has the important goal of better understanding the kakapo genome with the hope and potential of more favorable breeding outcomes in the future. This is a revolutionary step in saving endangered species. I believe that the Kakapo 125 project is important to our world because it not only wants to understand the genetics of the Kakapo, but spreads awareness and understanding as well. Because of David Iorns, I have learned a lot about the animals of New Zealand and their importance to New Zealand's ecosystem. 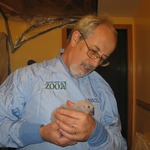 I am excited to learn more about this animal and what we can do to rescue them. 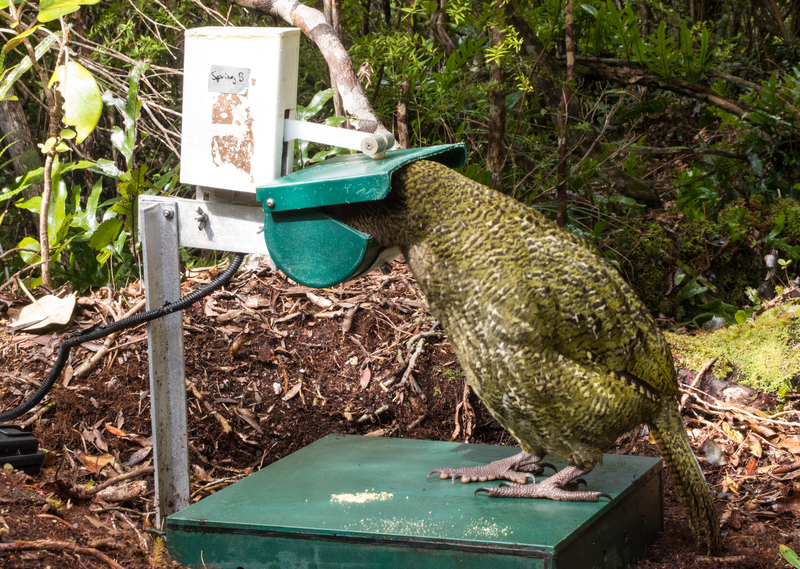 Science Exchange is excited to be assisting with the Kakapo 125 initiative. This initiative is a good example of the new market-based collaboration model. Market-based collaboration is making research accessible to a much larger demographic. It’s also driving improvements in efficiency by reducing or even eliminating authorship bartering from the research process. Genetic backup of species is the best way to prevent complete extinction. I think the sequencing of the remaining Kakapo is a cool way to preserve these unique creatures. Having that information will give some much needed insights into their gene function and diversity. Sequencing the kakapo population will ensure that the birds will reduce inbreeding and the passing along of deleterious mutations. 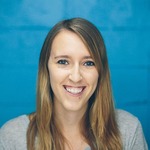 I've been a software engineer for more than a decade and have worked in a diverse range of industries from logistics to investment banking. 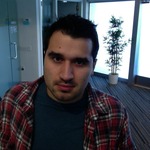 Currently I'm helping to a build a platform that allows scientists to more easily perform research. In 2015 I founded The Genetic Rescue Foundation. The Genetic Rescue Foundation is a not-for-profit organization dedicated to advancing scientific techniques that enable us to preserve global biodiversity. 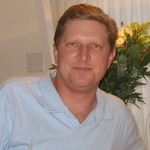 Andrew is a conservation biologist with a background in the physical sciences. 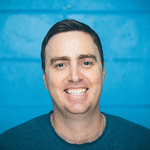 He is the scientist on the Kākāpō and Takahē Recovery Programmes for the Department of Conservation in New Zealand, designing experiments, analysing data, and liaising with external experts. 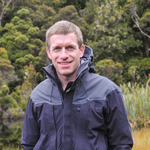 Bruce is a conservation geneticist at Otago University. He has provided genetic expertise to the kākāpō programme for 20 years. 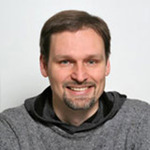 Bruce's research focuses on conservation genetics and molecular ecology. Bruce also has research interests in using genetics to inform wildlife management and invasive pest management. 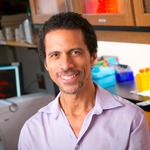 His present research projects include genetic management of endangered species, heterozygosity-fitness correlates, fine-scale genetic structure and immunocompetence. 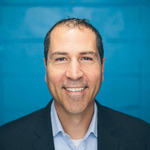 Jason is primarily a neuroscientist working on developing high throughput assays for discovering therapeutics for Huntington's disease. As a side project Jason likes to help sequence the genomes of endangered species and is therefore assisting with the Kakapo 125 initiative. Kakapo are supplementary fed during breeding, to ensure they're in optimal breeding condition. 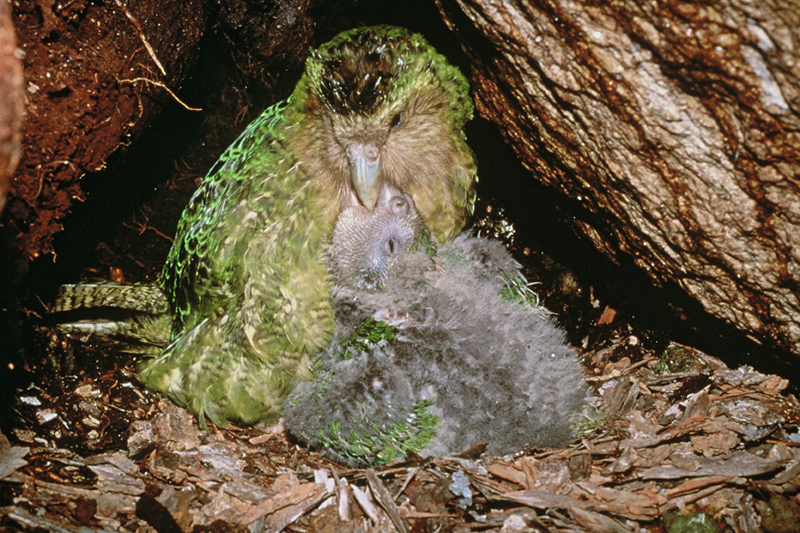 Artificial insemination of kakapo is used following natural matings to increase fertility and to ensure the best genetic pairings. 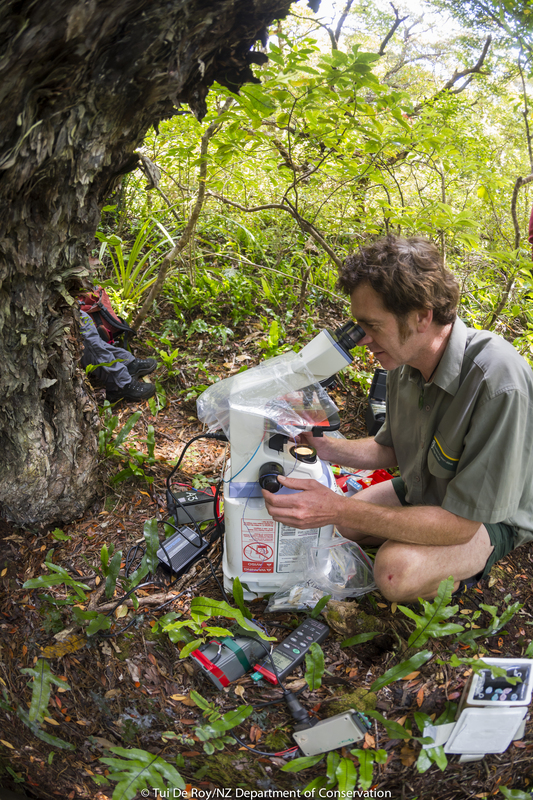 Here, Daryl Eason, Kakapo Technical Advisor, checks sperm quality in the field. 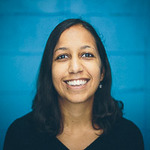 Photo credit: Tui de Roy. Kakapo breeding only about every 3 years. Fertility is low, so genetic information is important for maximising productivity. The ideal is to have mothers raise chicks in natural nests, but lack of natural food often means that hand-raising of chicks is necessary. Sirocco is the Kakapo Programme's advocacy bird. He's imprinted on humans, so isn't part of the breeding population, but does an important job of raising the profile of this critically endangered species. He shot to fame in this BBC documentary.